The Consumer Financial Protection Bureau (CFPB) says Citibank, N.A. bilked roughly 7 million customers through deceptive marketing and billing for debt protection and credit monitoring services. It has ordered the bank to pay $700 million in relief to consumers and $35 million in penalties. A Citibank subsidiary also deceptively charged expedited payment fees to nearly 1.8 million consumer accounts during collection calls, the CFPB said. These products promised to cancel a consumer’s payment or balance, or defer the payment due date, if the consumer experienced certain hardships, such as job loss, disability, hospitalization, and certain life events, such as marriage or divorce. 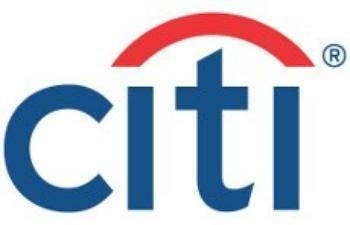 Citibank also marketed and sold other add-on products – “IdentityMonitor,” “DirectAlert,” “PrivacyGuard,” and “Citi Credit Monitoring Services” – that offered credit-monitoring or credit-report-retrieval services. Citibank also offered “Watch-Guard Preferred,” a wallet-protection service that notified credit and debit card issuers if the consumers reported a card lost or stolen. The service were marketed through a variety of deceptive methods, including telemarketing calls, online enrollment, “point-of-sale” application and enrollment at retailers, or when enrolled consumers later called tocancel certain products, the CFPB said. For example, confusing text on pin-pad offer screens at the point of sale increased the likelihood that consumers applying for credit cards at a retailer would not realize they were both applying for credit and purchasing debt-protection coverage. The full text of the CFPB’s consent order is available online.